These ten songs have been processed by the same set of pipes which helped first introduce Metal music to Poland more than thirty years ago. The figure of a snake has always been present within the realms of Rock and Metal, giving names to bands, gracing the album covers and accompanying the most notorious stage antics the genre's ever witnessed. 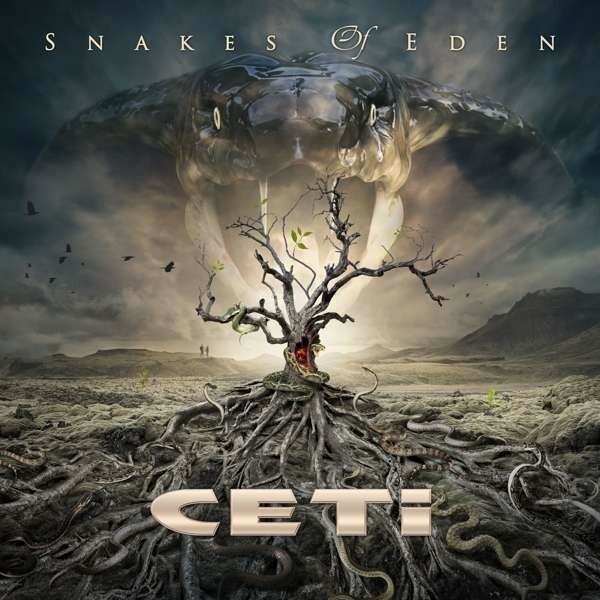 The Polish band CETI, fronted by legendary singer Grzegorz Kupczyk, are the next to utilize it as the symbol of the original sin becomes a theme of their new album 'Snakes Of Eden'. In spite of CETI's previous offering, 'Brutus Syndrome', having its certain catchy moments, it's been quite a while since the band had an instant hit up their sleeves. That is, until a single 'Wild & Free' saw the light of day prior to the release of '...Eden'; it ticks all the right boxes with its power, simplicity and eighties-tinted, infectious melody. The rest of the album is deliberately heavier in comparison, starting from the slightly Iron Maiden-esque, powerful opener 'Edge Of Madness'. Although modern production and thick instrumental background make it impossible to call 'Notes Of Freedom' or '2027' a blast from the past, there are certain flavours to both which all fans of eighties Melodic Metal will enjoy – keyboard embellishment in particular. Further into the album there's a place for both rich, elaborate pieces of Heavy Metal grandeur, remarkable for its guitar wizardry ('Empire Of Loss', 'Snakes Of Eden') and furious gallops driven by a pulsating rhythm section ('Fire & Ice', 'Midnight Rider', 'Break Down The Rules'). Also, there's no typical ballad on '...Eden' in spite of the slow-ish and atmospheric opening part of the seventh track 'Lady From The Dark'.